I’ve had a bunch of book signings lately, and this weekend’s was special for a few reasons. First of all, because it was at the fantastic Dog Ate My Homework Bookstore in Glens Falls, a fun, bright store with friendly owners (and a dog named Macy for a mascot!). Second, because it was a two-author event with my writer friend Eric Luper, whose YA novel BUG BOY set in 1934 Saratoga is one of the best historical novels I’ve ever read. 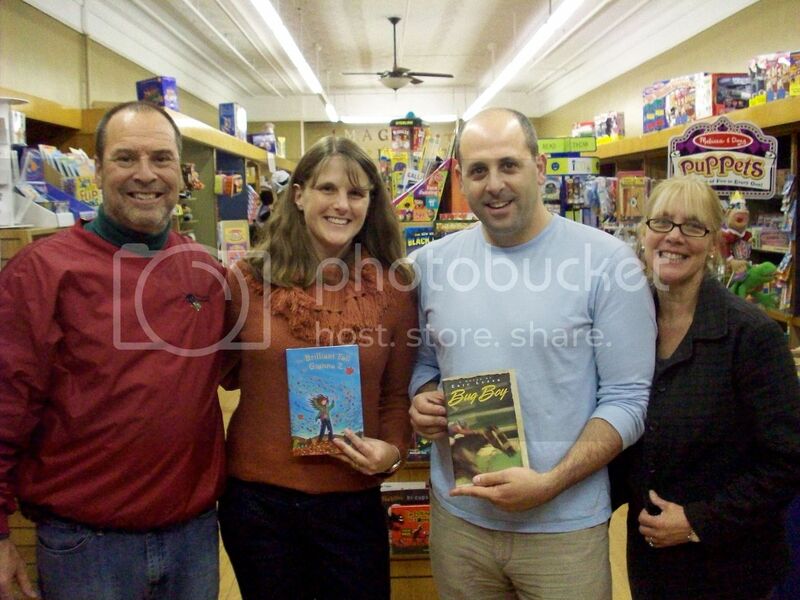 Here’s a picture of us with bookstore owners Kim & Mike Smith. 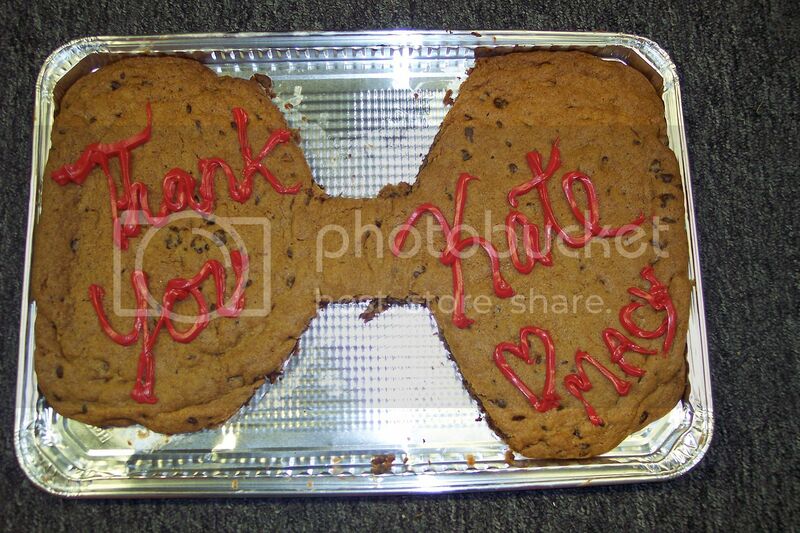 This giant, dog-bone shaped cookie was so delicious that by the time we enjoyed dinner out with Eric’s family and drove home, the only thing left was the "Tha…" But I’ll finish that word… THANKS, Mike & Kim and everyone at Dog Ate My Homework for a great, great afternoon! 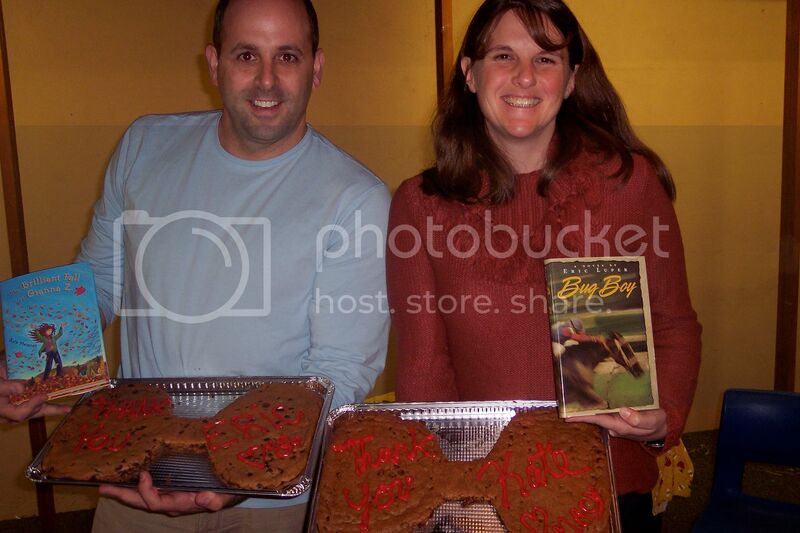 This entry was posted in Uncategorized and tagged book signings, dog ate my homework. Bookmark the permalink. Both comments and trackbacks are currently closed.